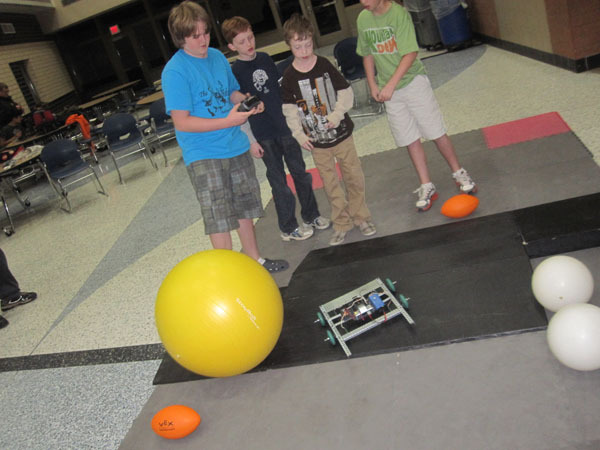 This week was full of several more Prior Lake Middle School Robotics Meetings. We had our first official "Build Night" where the boys had the chance to meet with some of the high school robotics team members to get some help with their design and programming. I was extremely impressed that they were actually able to get their robot driving around all ready via the joystick remote control. This little beast is actually pretty powerful!! It zips around and navigates the ramps pretty well! I just hope they can figure out a way to give me a ride on the thing. Then I'll be happy. 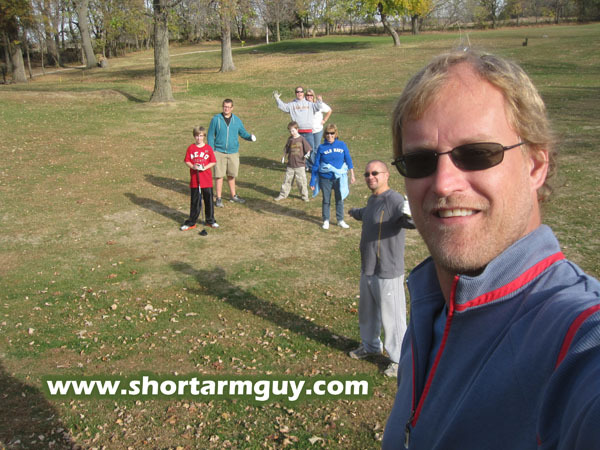 On Saturday, we had plans to go down to Iowa for some golfing and on the way we were going to stop by Niagara Cave in Harmony, Minnesota. We'd seen a billboard for this cave in Owatonna and thought it would be fun to stop by for a visit. So we invited Grandma Linda to go with us and hopped in the car bright and early Saturday morning. Then we plugged it into the GPS and discovered it was about 3 hours away. 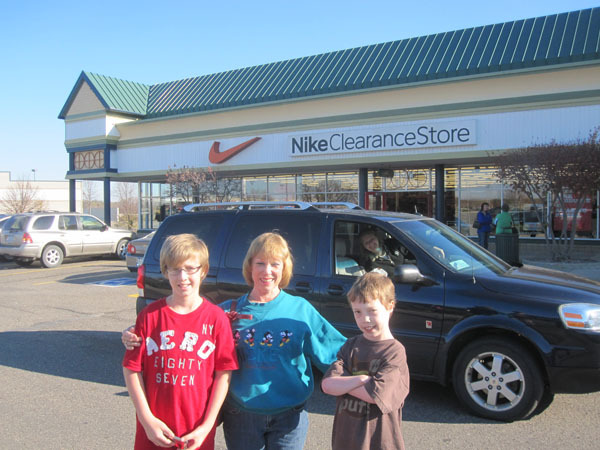 For some reason, we had it on minds it was a lot closer than that, so instead we decided to stop by Medford Outlet Mall in Owatonna. The boys were absolutely thrilled to find out we were going clothes shopping instead of exploring a cave like we told them we were going to do all week. They were absolutely thrilled. Grandma was much more excited to be there. 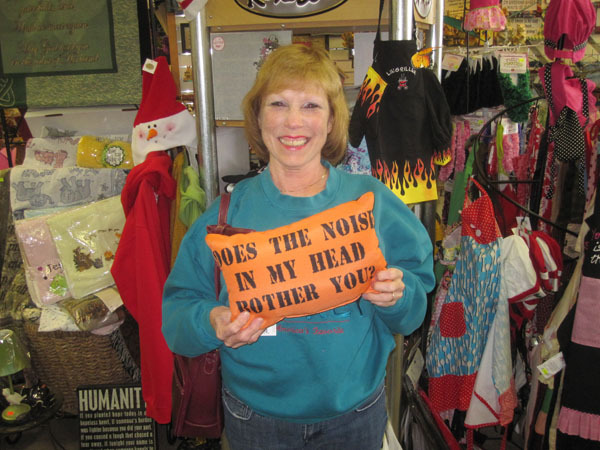 She'd been looking for a new pillow for awhile, but could never find one that was a good match for her. This one fit the bill! 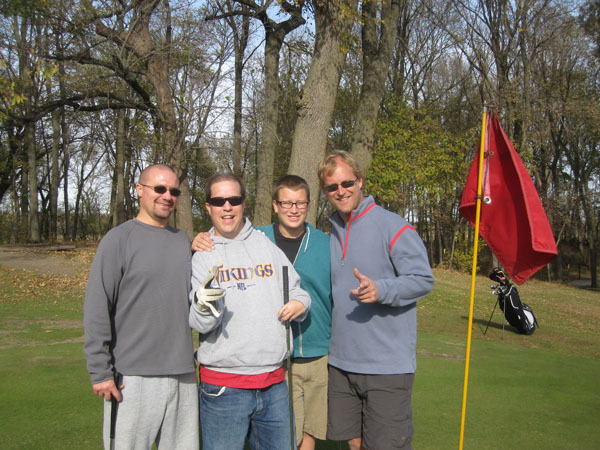 The reason we wanted to go down to Clear Lake, Iowa to go golfing at Oak Hills Golf Course was because our old buddies Krazy Kory and Ron "Sugarman" Myers were going to meet us there. I wasn't sure what to expect weather wise, but Mother Nature was pretty nice to us. 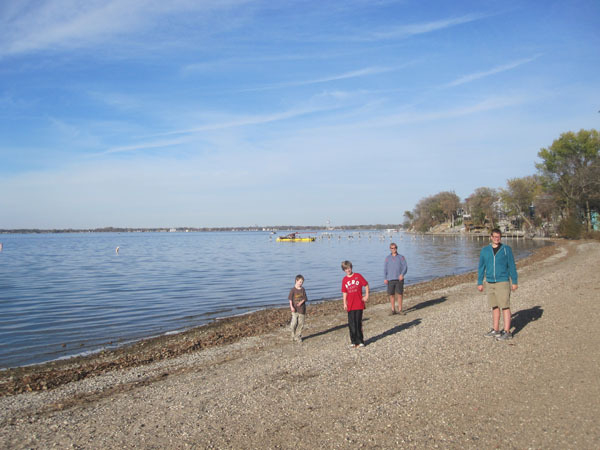 We had an unseasonably warm day with temperatures soaring into the fifties. I wish my golf game would have been as nice, but you can't have everything. Technically, the course was closed, but that didn't stop us from having a great time. 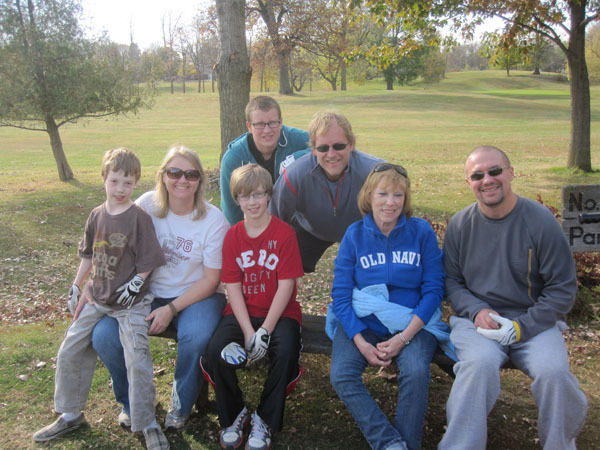 We even played with all eight of us on the last hole, even though that's a major no-no. 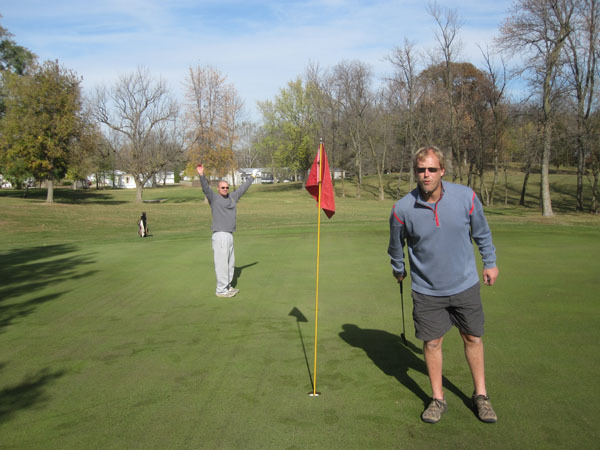 I kind of regretted doing it, but I guess that's just what you do when you're golfing in October. Winter Rules. 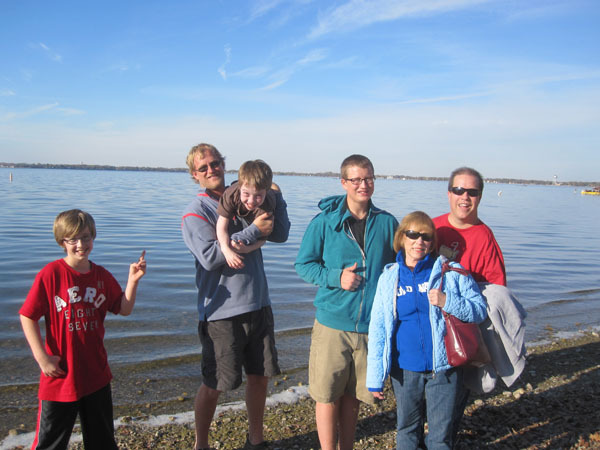 Before leaving town again, we thought it would be fun to go check out State Beach on Clear Lake. I spent a lot of time here when I was young and wanted to share the experience with my boys. 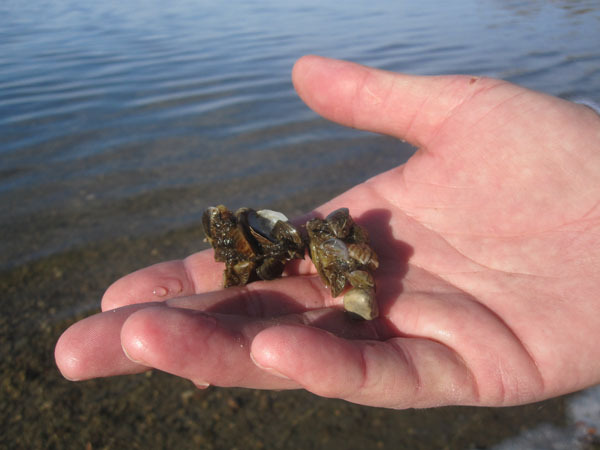 One thing they didn't have when I lived there was all the dang zebra mussels that are now infesting the lake. Supposedly they're good eating, but I wasn't interested in trying any. All in all we had a good time going back to Clear Lake, even if it was for only a few hours. Actually, after a few hours Krazy Kory starts wearing on me a little bit, so the timing was probably just right! Have a great week, every one!